Like the rest of the world, Rex Tillerson got the news of his firing on Twitter. “Thank you to Rex Tillerson for his service!” was the only reference to the now-outgoing secretary of state in a tweet President Donald Trump posted at 8:44 a.m. Tuesday that also announced Tillerson’s nominated replacement, CIA director Mike Pompeo, and Pompeo’s replacement at the intelligence agency, Gina Haspel. What does the departure of Tillerson and the elevation of Pompeo tell us about where Trump’s “wavelength” is when it comes to what matters to Israel and American Jews? 1. Trump looks serious about leaving the Iran deal. Tillerson and Trump have tussled about a number of things — whether Russia is a reliable partner (Tillerson thought not, for Trump the jury is still out); whether to negotiate with North Korea about its nuclear weapons capability (Tillerson recommended it; Trump at first knocked Tillerson down, but now seems ready to follow that path). Notably, however, the reason Trump singled out in his impromptu White House lawn news conference was the 2015 Iran nuclear deal. Tillerson was one of the Cabinet-level officials staying Trump’s hand on the Iran deal, advising him to stick with what he saw as a bad agreement and amend it. Iran is hewing to the narrow parameters of the agreement, and the thinking by Tillerson and others, including Defense Secretary James Mattis, was that the United States would lose the leverage to persuade allies to pressure Iran by other means should Trump seek to kill the deal. 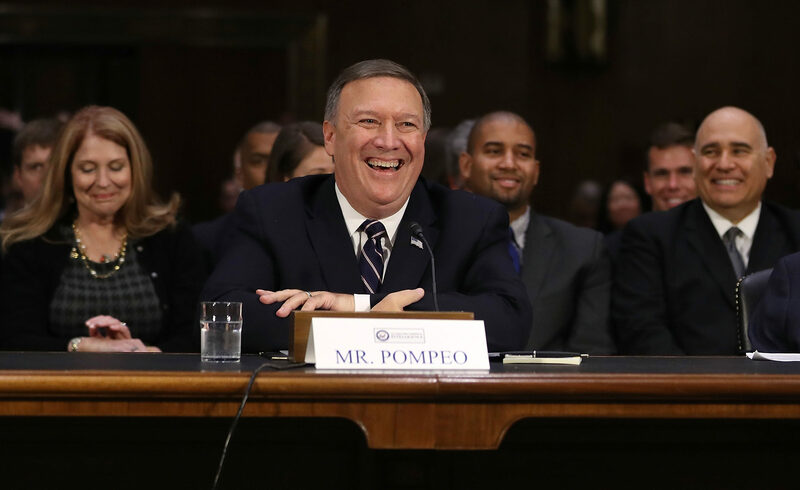 Pompeo, a Republican congressman from Kansas before assuming his CIA role, opposed the deal, which trades sanctions relief for a rollback of Iran’s nuclear program. One rationale for the pact advanced by the Obama administration, which brokered the agreement, was that the only alternative was a military strike, which Obama officials believed would not necessarily kill Iran’s nuclear program and would lead to open-ended war. 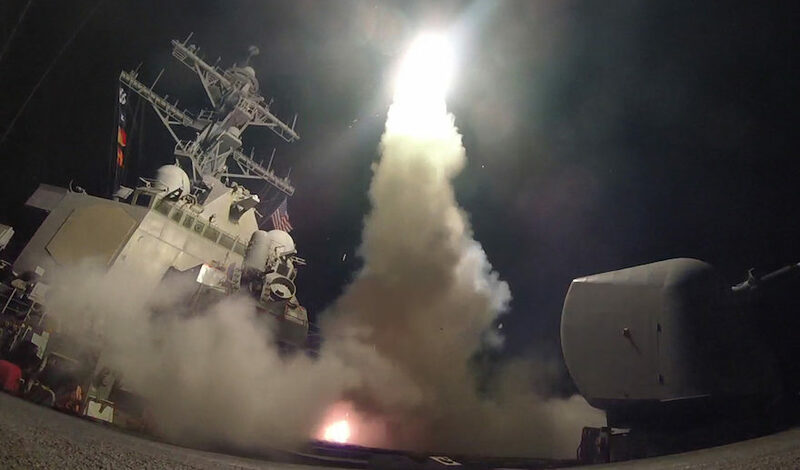 Pompeo as a congressman once said that a military strike was doable. Trump must consider by May 12 whether to continue to waive sanctions on Iran, a key element of the deal. Sen. Ben Cardin, D-Md., an opponent of the deal in 2015 who now believes it is the best vehicle to contain Iran, expressed alarm at Tillerson’s departure. 2. Trump likes Israel. A lot. Don’t get in his way. After some equivocation during his candidacy over whether he would be “evenhanded” when it comes to Israel and the Palestinians, Trump as president has made it clear he favors Israel. “It’s fair to say I don’t have any disagreements” with Trump on Israel issues, Israeli Prime Minister Benjamin Netanyahu said last week during a visit to the nation’s capital. A keystone of Trump’s policy on Israel policy has been his recognition late last year of Jerusalem as its capital. The decision risked his efforts to revive Israeli-Palestinian talks, but it seems to be very personal. 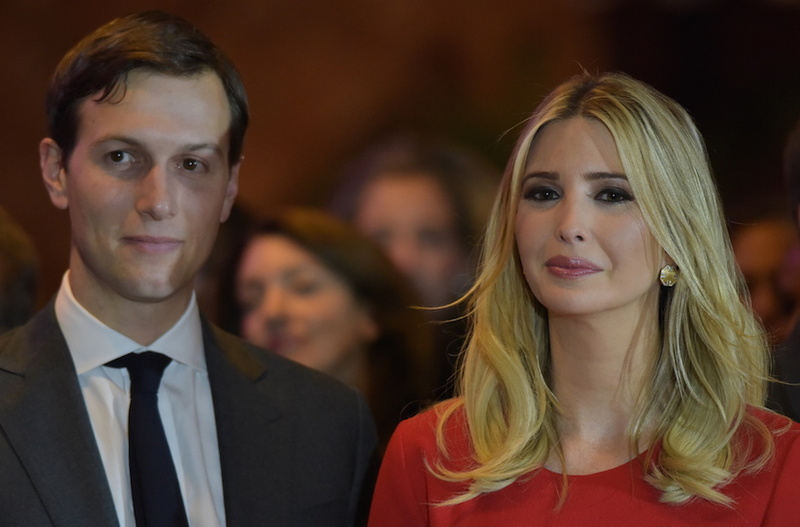 The Washington Post reported March 12 that a framed copy of Trump’s remarks recognizing Jerusalem hangs in the office of Ivanka Trump, his Jewish daughter and a top adviser to her father. Tillerson as secretary of state tried to slow down the Jerusalem process, to little avail. Once Trump recognized the city as Israel’s capital, Tillerson endeavored to make clear that the embassy would not move anytime soon. Vice President Mike Pence, who backs the move, said it would move in 2019. Then the Trump administration said it would happen in May. Pompeo as a congressman had high praise for Netanyahu and made his support for Israel a central point on his campaign website. 3. Trump likes his son-in-law. A lot. Don’t get in his way. Ivanka Trump’s husband, Jared Kushner, is taking the lead in shaping Middle East policy for his father-in-law. Tillerson, for the most part, left Kushner alone. One area in which Tillerson intervened, however, was in Kushner’s enthusiastic backing for Saudi Arabia in its attempts to isolate Qatar. The Saudi regime, and Kushner’s new BFF, Saudi Crown Prince Mohammed Bin Salman, targeted Qatar for its defiance of Saudi leadership in the Gulf. But Tillerson, noting Qatar’s role as a U.S. ally and host to a major U.S. military base, said he wanted a “calm and thoughtful dialogue” to resolve the clash between Qatar and its neighbors. 4. Pompeo sounds like the boss on radical Islam. Long before the “Make America Great Again” red hat became an identifier of the politically incorrect, Pompeo spoke bluntly about the threat of radical Islam in Trumpian ways. As a congressman, he repeatedly chided Muslim leaders for not condemning Islamist terrorist attacks in ways that often rankles Jews, who are sensitive to collective blame. In many cases, however, Muslim leaders had in fact condemned the attacks. In 2015, Pompeo appeared at a “Defeat Jihad Summit” with figures known for their broadsides not just targeting Islamists but all Muslims. In 2016, he called on a mosque in his district to cancel a speech by an American Muslim speaker who decades earlier had appeared in a video singing support for Hamas, the Palestinian terrorist group. Pompeo chided the mosque for scheduling the appearance on Good Friday. The mosque soon started receiving threats and canceled the event, although it was not clear if Pompeo’s news-making release had a role in spurring the threats. When Pompeo first ran for Congress in 2010 as part of the tea party wave, his campaign recommended on Twitter an article that referred to Pompeo’s opponent as a “turban topper” who “could be a muslim, a hindu, a buddhist etc who knows.” The campaign removed the tweet and Pompeo apologized to his opponent. “With the appointment of former CIA Director Mike Pompeo as secretary of state, President Trump is playing right into the hands of the radical anti-Muslim movement in the U.S. and abroad,” the Southern Poverty Law Center said in a statement. 5. One possible difference: Pompeo is skeptical of Russia. Much of the speculation on March 13 was that Trump fired Tillerson because the secretary of state forcefully said the assassination attempt in Britain of a former Russian spy was “clearly” the work of Russia, while Trump has equivocated on the matter. According to this narrative, Trump wants folks who would alienate Russia off his team. Trump has said that Russia could be an ally in combating Islamist terrorism, and has chafed at the notion that Russia intervened on his behalf in the 2016 election. 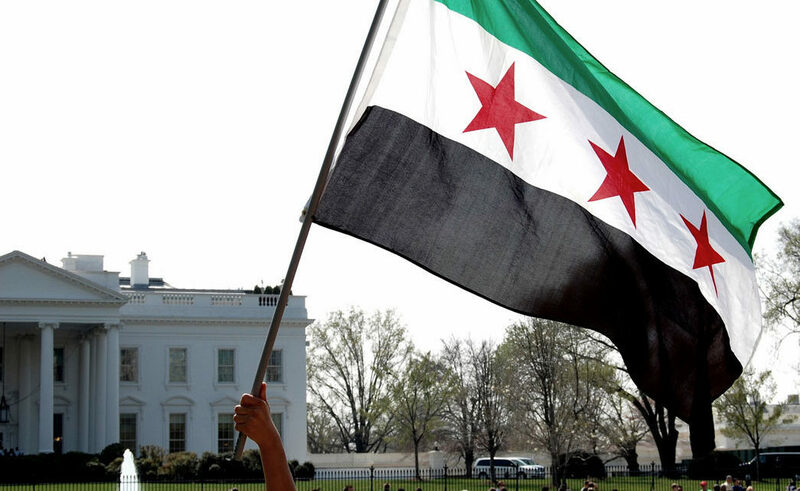 The U.S.-Russia relationship is the one aspect of Trump’s foreign policy that troubles Israelis, who are concerned that Trump will defer too much to Russia in shaping the outcome of the Syria civil war. Russia’s de facto ally in that war is Iran, Israel’s deadliest enemy. Pompeo is a Russia hawk. He repeatedly has endorsed the intelligence community’s conclusion that the Russians tried to intervene in the election on Trump’s behalf (although he also said, incorrectly, that the report concluded that the Russian intervention did not have an effect; the report stopped short of any conclusion to that effect). Israelis happy about Syria strike?